3400 square feet of lakefront luxury awaits you inside this AMAZING Dallas Lake property. The main floor of the home has an open floor plan with lots of glass to bring the outside in, wonderful master suite, custom River Woodworking kitchen with a quartz capped island and dreamy pantry. Upstairs are 3 more bedrooms and a landing that doubles as the library - a great spot to unwind. There are 2.5 baths, Geothermal HVAC, super deep crawlspace and a 2 car garage. Lots of closets, stylish cove trim and gorgeous Oak flooring. Outside... A flagstone patio is front and center on the lakeside, the seawall is perfect with set-ins for the boat lift and docks and BEST OF ALL the beach area is firm and sandy!! There is just enough front yard for outside activities, but you are close enough to the water that when you are inside WOW what a view! Plenty of parking too! 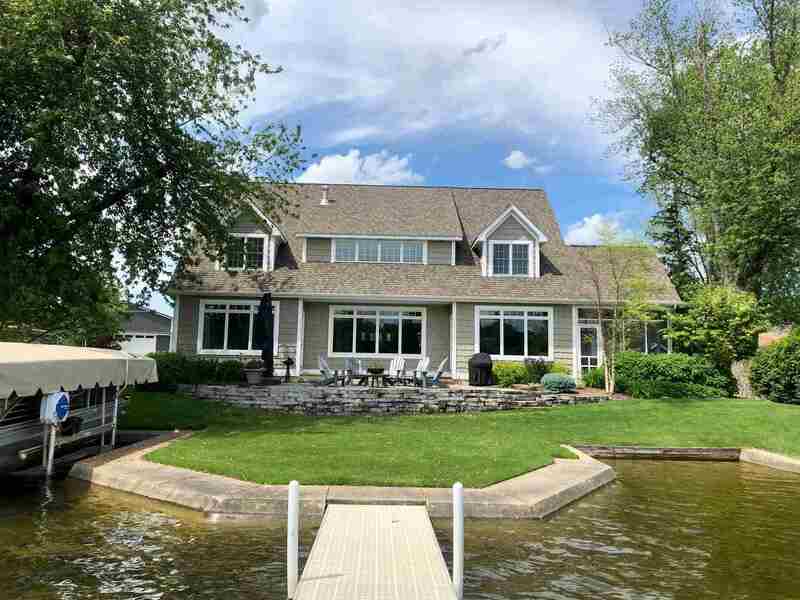 The property is situated on the North Shore of Dallas Lake where you will enjoy overlooking the undeveloped shoreline known as Dallas Lake Park. The park is one of LaGrange County&apos;s many jewels with 140 acres of woods, trails, sandy beach, pavilions and playgrounds. This neighborhood has long been known as a friendly place to live/play/walk/run/bike AND the Sellers say the neighbors are wonderful! On Dallas Lake you can enjoy sun up to sundown skiing, tubing, jet skiing, sunning at the sandbar OR sneak off to one of the quieter lakes in the Indian Chain of 5 lakes and drop in a line. Other Room 1 Desc: P.r.